HOUSTON (KTRK) -- The second of two formerly conjoined twin girls separated in a 26-hour surgery at Texas Children's Hospital is now home with her family. Adeline Faith Mata was discharged yesterday from the hospital. She will now join her sister, Knatalye Hope, at home. Knatalye and Adeline were born on April 11, 2014. The then conjoined twins were estimated to weigh 3 pounds, 7 ounces each. The girls spent the first 10 months of their lives in the Level IV neonatal intensive care unit at Texas Children's. In December of 2014, the girls had tissue expanders inside of them. Those are like balloons on the sides of their chests that slowly expanded and stretched the skin in preparation for separation. The girls then underwent a 26-hour surgery at Texas Children's Hospital in February of this year. The procedure included pediatric surgery, plastic surgery, cardiovascular surgery, urology, liver transplant surgery, orthopedic surgery and pediatric gynecology. Knatalye Hope Mata and Adeline Faith, formerly conjoined twins, seen in Houston. 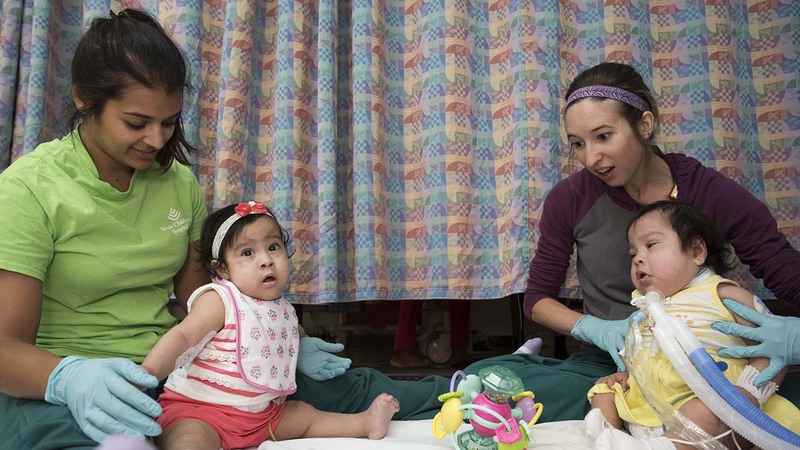 The sisters were separated in a 26-hour surgery at Texas Children's Hospital. Knatalye was discharged on May 8, just in time for Mother's Day. 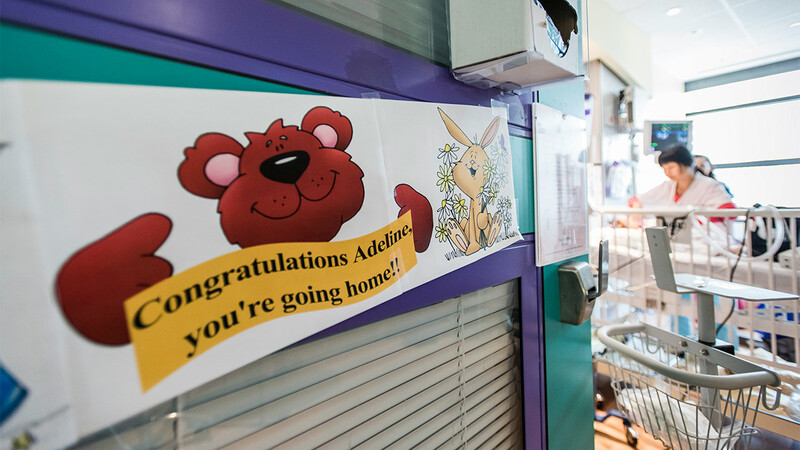 Adeline had remained in the pediatric intensive care unit until doctors decided on Tuesday she was well enough to go home. "They will both require additional therapies as they continue to grow, but we are thrilled with their outcomes and are optimistic they will continue to do very well," said pediatric surgeon Dr. Darrell Cass. The family plans to stay in the Houston area for follow up appointments before heading back to their hometown of Lubbock. Their mother Elyssa told ABC News she now wants to go back to school to become a nurse. "The past year has been such a whirlwind for our family and we are so thankful we can finally have both girls home with us," said Elysse Mata, mother of the twins. "In addition to the great care our girls received, the thoughts, prayers and outpouring of love from the community really helped get us through the last year and we are grateful for everyone's continued support."